A moment’s walk from the frenetic desperation of West End shoppers and Bond Street tube station lies Welbeck Street Car Park. It looms large like an obstacle from a computer game, reminding us that London’s streets are far from a simple grid system. While it lies a mere breath from one of the capital’s most touristic landmarks, it is not one of them. It’s a relic, a carpace of an architectural vision that’s taste is enjoyed by the relative few. There is a sense of foreboding about the building as if it actually knows the game is up and its fate is not clear. It’s officially on its last legs, and not because it’s fallen into disrepair but because of late Capitalism. There we said it, it’s new owners care more for money than for the preservation of a 1970s landmark. Designed by Michael Blampied and Partners nearly 50 years ago, it’s managed to be missed off the architectural protective listing register and now its fate lies with its new owners Shiva Hotels. Inexplicably its application for listing was turned down despite a very vocal campaign to protect it, which reached out to Westminster Council and Mayor of London Sadiq Khan. Its iconic geometric facade made of smooth white concrete stands in stark contrast to the galumphing presence of the bleakly designed local department stores and the genteel stuffiness of Harley and Wigmore Street just minutes away. 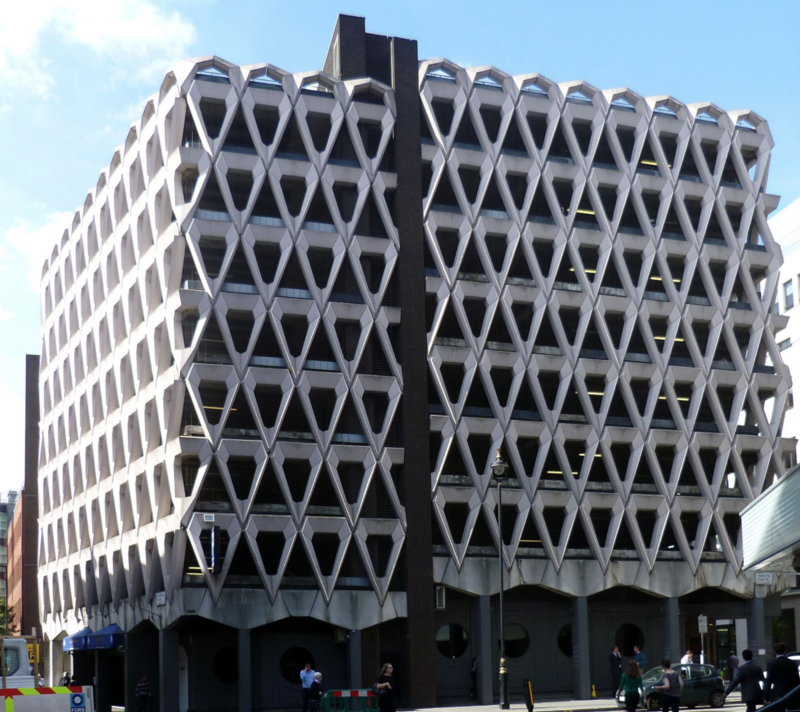 In our humble opinion, we have so few examples of brutalist architecture as London becomes more and more crowded with glass towers and palaces that clearly this was a tragic error of judgement.